On January 17, 2019, the awarding ceremony of 2018 CAS Award for International Scientific and Technology Cooperation was held in Beijing. Chunli Bai, President of the Chinese Academy of Sciences, awarded medals and certificates to the three foreign experts including Toshio Koike, Shih Choon Fong and Nils Christian Stenseth. Professor Toshio Koike is the director of International Centre for Water Hazard and Risk Management under the auspices of UNESCO (ICHARM), an honorary professor at Tokyo University, Japan. His research interest includes the water cycle and climate sciences and their applications to water resources management, which can be classified into the following three components, establishment of satellite remote sensing, development of the data integration and information fusion system, and development of the hydrological down-scaling methods including satellite-based data. He was recommended by ITP and awarded "Einstein Professor ship of the Chinese Academy of Sciences” in 2009. CGTN interviewed Toshio Koike when he came for the awarding ceremony. 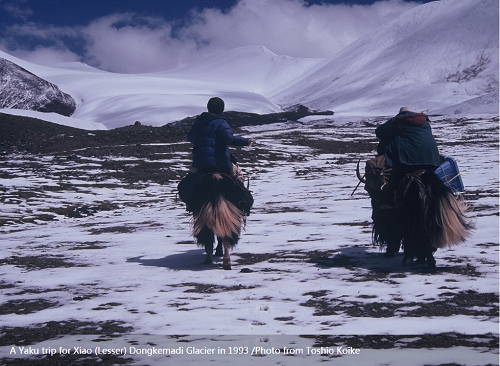 Tibet, a distant, mysterious land, is known as the planet's "third pole" for its vast icefields. Even minor environmental disturbances here can have a significant impact on global water circulation and climate. The unique environment attracted Japanese hydro meteorologist Toshio Koike to China in the early '90s, at the invitation of the Chinese Academy of Sciences (CAS). During his meteorological research, he tried to coordinate between meteorologists and hydrologists and focused on the plateau's role in regional and global climate. In the absence of technologically advanced and well-organized observation systems, working on the highlands was not easy in the early days. Dr. Koike said that his team had to install required instruments one-by-one manually. He even had to dig holes and insert moisture sensors on his own many times. As a renowned pioneer in the field, Koike was in charge of a number of international organizations and joint programs at the time, including the Data Advisory Council of the World Climate Research Program (WCRP), the International Centre for Water Hazard and Risk Management under UNESCO. It was a memorable time for him working with a number of enthusiastic Chinese scientists, especially nurturing the young talents involved in international projects. 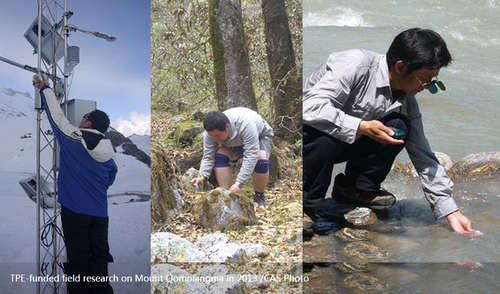 Ma Weiqiang, a researcher at CAS's Institute of Tibetan Plateau, was still a student then. Ma appreciated Koike for teaching them how to conduct fieldwork through microwave and mechanical observation as well as broadening his way of thinking. Many of Koike's Chinese colleagues have become leaders of international communities and research groups. The Japanese supervisor said he had also expanded his own research through such collaborations. Together, they developed the system used to observe the environmental conditions on the Tibetan plateau. Today, the research framework they established and their data gathering plays a crucial part in weather forecasting and disaster prediction. More opportunities and joint research proposals have come about after their initial success. Earlier, the Japanese scientist was awarded the 2018 CAS International Cooperation Prize. He said he felt honored that his work is being recognized and he also witnessed the dramatic change in the world of Chinese science – not just in terms of equipment and research quality. 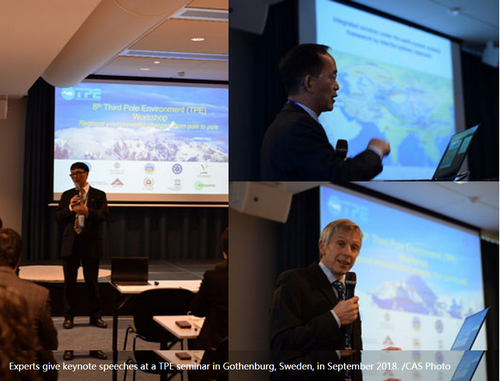 Yao Tandong, honorary director of the Institute of Tibetan Plateau, said they are now more influential in the world and have launched a series of regional programs. "With our efforts, the impact of the third pole on the region and the world has become a rising concern. 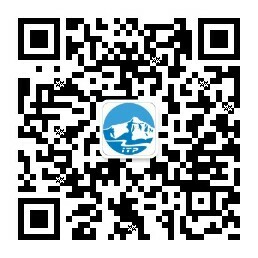 And we've also proposed a project [to understand] on its impact on the silk-road environment," Yao added. Dr. Koike is impressed at how China has gone from being a follower to a leader in science. He pointed out that an interdisciplinary framework has been established not only within the country but also in cooperation with Europe, the U.S. and also Japan. He noted that Chinese scientists focused on very limited topics in the past, but now they are developing interdisciplinary collaboration with different research groups and throughout all sectors of society. As China continues to open up, both sides have faith that collaborations on researching the "third pole" will bring greater levels of development and more benefits to the world.